one thing I need to do is update my business cards. another thing is this cute card carrier. 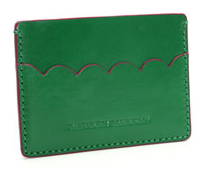 very sweet card holder, and I love the color!